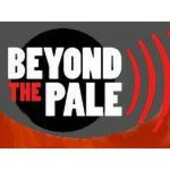 I recently had the pleasure of being interviewed on WBAI radio’s “Beyond the Pale” to discuss Peter Beinart’s (much-discussed) new book “The Crisis of Zionism” with hosts Lizzy Ratner and Adam Horowitz. We spend the hour discussing Peter Beinart’s controversial and much-discussed new book about the struggle at the heart of contemporary zionism: the occupation of the West Bank and Gaza. We begin with a lengthy interview with Beinart himself, who argues that the only way to save Zionism is to end the Occupation and recommit to the ideals of “democratic” Israel. From there we head to Israel-Palestine for a fascinating discussion with Abir Kopty, a human rights activist and Palestinian citizen of Israel, who tells of the ugly discrimination faced by Palestinians within the Jewish state and questions the notion that a “democratic” Israel ever has or ever can exist. Finally, we conclude with an interview with Rabbi Brant Rosen, a Reconstructionist rabbi and Palestinian solidarity activist, who hails The Crisis of Zionism as a passionate effort that came twenty years too late. This entry was posted in American Jewish Community, Israel, Palestine, Zionism on May 17, 2012 by Rabbi Brant Rosen. Very interesting show, Brant. I got the book from the library, and I’m really looking forward to reading it. Your comments were insightful and very grounded. Thank you. I wish more time had been allotted to the Rosen interview. The insight into the conflict between the concepts of democracy and traditional zionism was well and concisely expressed, but needed exploration in far greater depth. However, even from this brief idea sharing, I’m beginning to understand the point of view from which a single-state democratic solution can be considered viable (assuming that current demographic trends can become inconsequential or even reversed by their no longer being necessary to group survival).